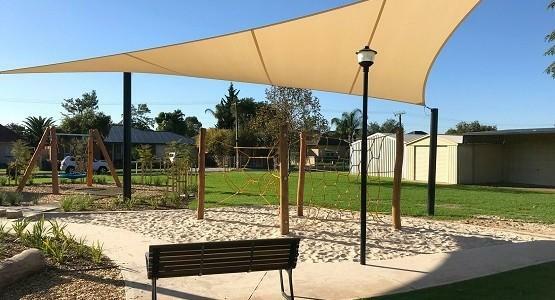 As specialists in all aspects of the improvement of residential, commercial, and public outdoor spaces, we are committed to providing the solutions that our clients seek to extend the use of these areas. 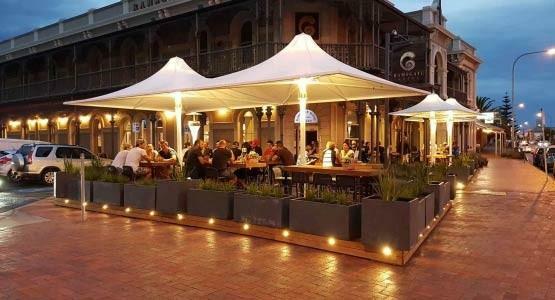 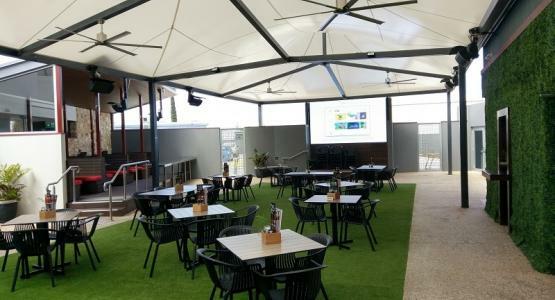 Through the utilisation of a range of purpose-designed lighting and heating accessories, you can substantially extend the use of your outdoor spaces in terms of hours of the day and months of the year. 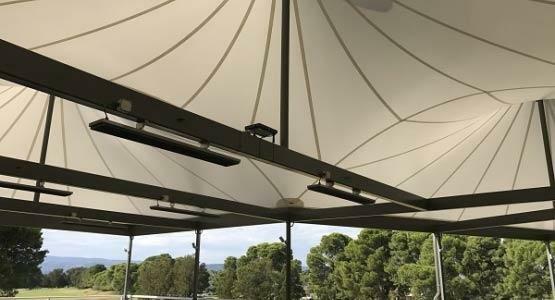 At Shadeform, we are the South Australian distributor for the Thermofilm Heatstrip electric radiant heaters that are run via a standard 240-volt power supply. 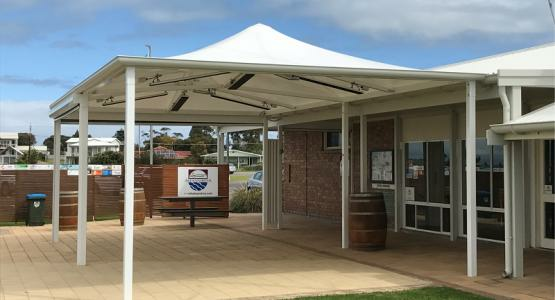 These innovative and highly efficient units are specifically designed to replace outdoor gas heaters, and they operate at approximately only 10% of the cost. 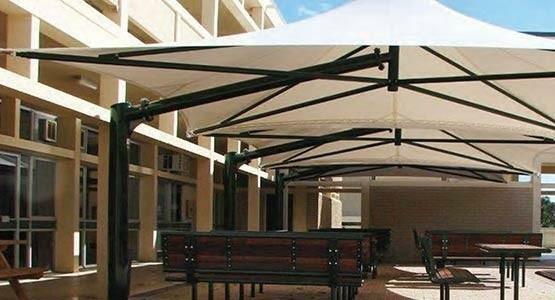 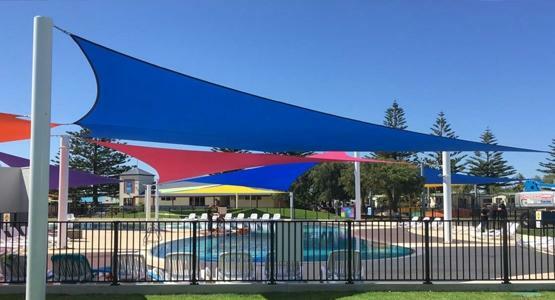 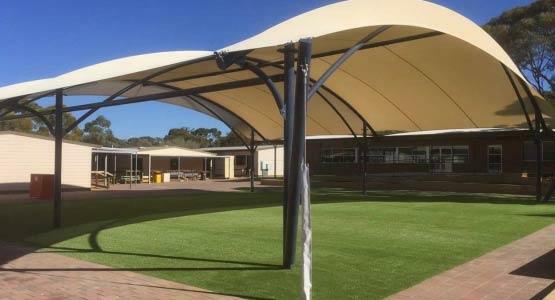 With a diverse range of heating and lighting accessories for many of our structures, including Flexshade umbrellas, Eclipse sails, the Issey folding arm range, and the Seashell PVC retractable awning, we have got you covered. 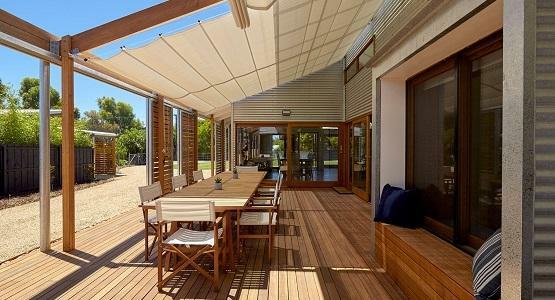 Enhance the overall feel of your outdoor area with light and warmth. 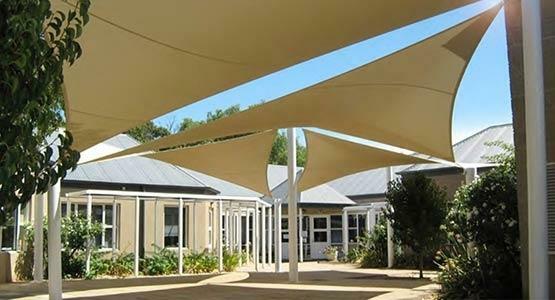 Shadeform can include complete lighting and heating solutions with almost all products. 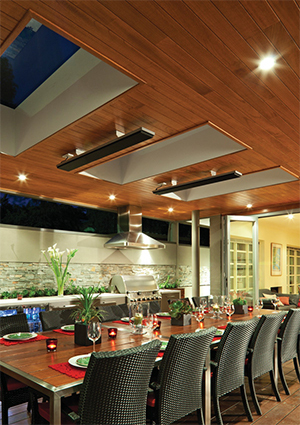 Call Shadeform now on 08 8354 2116 for more details of our lighting and heating accessories range.